A new application is available for free download at the iTunes store for calculating your unpaid wages. The application, called DOL – Timesheet, has been developed by the U.S.Department of Labor. This is a timesheet to record the hours that you work and calculate the hours you may be owed by your employer. It also includes overtime pay calculations at a rate of one and one-half (1.5) the regular rate of pay for all hours. Posted in Calculate Amount You May be Owed and tagged App to calculate overtime, calculate overtime wages, Florida labor attorney, Florida labor law attorney, Florida labor lawyer on July 11, 2012 by Rose H. Robbins. What are the Federal and Florida Minimum Wage Amounts? Currently, the federal minimum wage is $7.25 per hour. Below is a chart of the federal minimum wage since 2007. 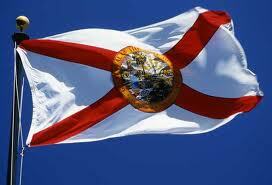 Florida has its own minimum wage law that requires employers to pay employees more than the federal minimum wage. Below is a chart of Florida’s minimum wage since 2005. Generally, if you have not been paid properly you can recover any unpaid wages accrued over the previous two years. In some cases, the law allows you to recover unpaid wages that accrued more than two years ago. Additionally, in virtually all situations, if an employer has not paid you properly, you are entitled to double the amount of your actual unpaid wages AND the employer is required to pay you for the attorney’s fees and costs associated with a lawsuit. Posted in Calculate Amount You May be Owed and tagged Federal minimum wages, Florida minimum wages, Minimum Wages on May 25, 2012 by Rose H. Robbins. 1. When is overtime due? For covered, nonexempt employees, the FLSA requires overtime pay at a rate of not less than one and one-half times an employee’s regular rate of pay after 40 hours of work in a workweek. Some exceptions to the 40 hours per week standard apply under special circumstances to police officers and fire fighters employed by public agencies and to employees of hospitals and nursing homes. Some states have also enacted overtime laws. Where an employee is subject to both the state and Federal overtime laws, the employee is entitled to overtime according to the higher standard (i.e., the standard that will provide the higher rate of pay). 2. How many hours per day or per week can an employee work? The FLSA does not limit the number of hours per day or per week that employees aged 16 years and older can be required to work. How many hours is full-time employment? How many hours is part-time employment? The FLSA does not define full-time employment or part-time employment. This is a matter generally to be determined by the employer. Whether an employee is considered full-time or part-time does not change the application of the FLSA. 3. When can an employee’s scheduled hours of work be changed? The FLSA has no provisions regarding the scheduling of employees, with the exception of certain child labor provisions. Therefore, an employer may change an employee’s work hours without giving prior notice or obtaining the employee’s consent (unless otherwise subject to a prior agreement between the employer and employee or the employee’s representative). 4. When is double time due? The FLSA has no requirement for double time pay. This is a matter of agreement between an employer and employee (or the employee’s representative). 5. Is extra pay required for weekend or night work?